The Silk Road, Gateway Poland Summit kicked off in Wroclaw Poland. We are hosting a live blog, broadcasting speakers and reporting the latest news. People who are not able to attend, can follow the summit on our website. 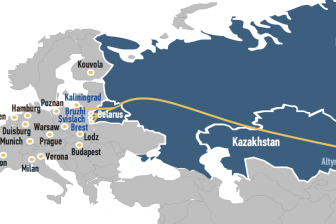 In this two-day summit, expert speakers share their knowledge and experiences regarding the New Silk Road, with a special focus on Poland as a gateway. 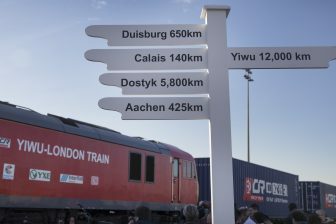 The event, organised by RailFreight.com and Nieuwsblad Transport, examines the developments which have brought the New Silk Road to the forefront of the Europe-Asia logistics corridors, what they mean for Poland and the other countries along the growing number of routes, not least China. Day one starts with a technical visit, enabling visitors to meet some of the people behind the logistical chains in Poland. The second part of the day features keynote speeches on the meaning of the Silk Road and Poland, and the implications of the One Belt, One Road project for eastern Europe. Day two begins with a focus on the ambitions of China, followed by sessions on how to connect the Silk Road routes and stops, and the business case for Poland and beyond. The complete programme can be found here. We broadcast the presentations in the live blog. Moreover, we have already published several speaker interviews. 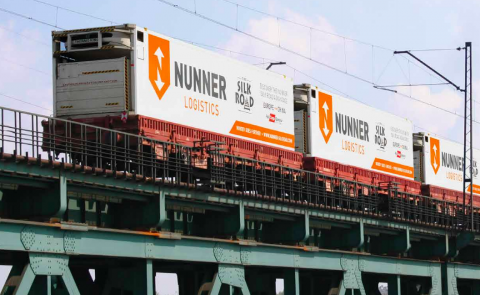 We talked to Erik Groot-Wassink, Director of Special Products at NUNNER Logistics, the main sponsor of this event. He explained how NUNNER stepped out on the New Silk Road. We also heard Professor Richard Griffiths, who explained how a prevailing focus on the Europe-China northern rail freight route is detracting from the possibilities offered by southern Europe and Asia’s other diverse economies. Onno de Jong, Consultant in Transport, Infrastructure & Mobility at European research company Ecorys, talked about the impact of the New Silk Road on ocean and air freight, current volumes and capacities, and the long-term prospects. 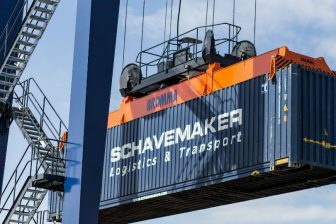 The critical issue of security aboard freight trains was explained by Felix Scharwz, Expert in Telematic Solutions at Savvy Telematics. Also in an interview, Klara Paardenkooper, Senior Lecturer at Rotterdam Business School shared her insights about blockchain technology, while Peter Plewa revealed what the impact of the Silk Road has been on Duisport, the largest European hub on the network.In the live blog, we will keep you updated about their presentations.